AS temperatures rise, so too do risks and dangers of swimming in natural waterways. 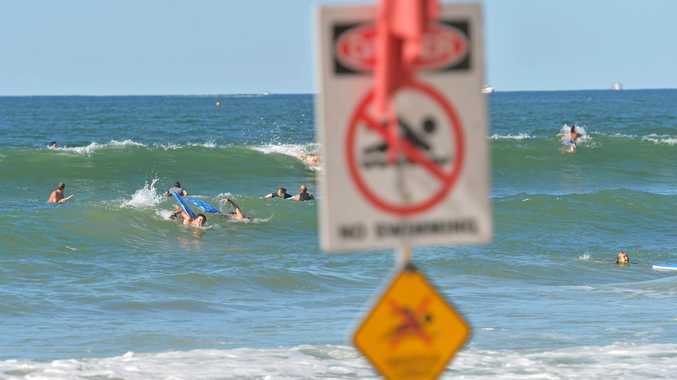 Royal Life Saving Society - Australia has released a top eight tips for swimmers this week, following reports of a man drowning in New South Wales. The 20-year-old male drowned at Wattamolla, a popular lagoon in the Royal National Park, after he and two friends got into trouble after cliff jumping. Always wear a lifejacket. Make sure you're always wearing a lifejacket when fishing, boating, or using a watercraft. Supervise children. Actively supervise children at all times around water. Stay close and within arm's reach. Avoid drugs and alcohol around water. Drugs and alcohol can delay your reaction time, inhibit your ability to assess risk, and effect your swimming ability. It's a deadly combination. Be aware of medical conditions and their impact around water. Make sure you know your limits, have regular check-ups with your doctor, treat conditions, and don't swim alone. Check conditions. If you're heading out on the water, check the weather conditions before leaving. When swimming check for currents and rips before entering the water. Don't take risks around water. Cliff jumping, diving from bridges, and reckless behaviour on boats can result in permanent injury or death. Play it safe, it's not worth the risk. Always swim between the flags when at the beach. If you get into trouble, stay calm and attract attention by raising your arm above your head. Learn CPR and first aid. Resuscitation can mean the difference between life and death. Learn lifesaving skills so you can provide vital treatment in the event of an emergency. Royal Life Saving Society - Australia CEO Justin Scarr said the Australian environment, coupled with our love of the water, means swimming, lifesaving and water safety skills are vital expertise in life. If you're yet to learn, or want to brush up on your skills, contact your local aquatic centre for more information. Classes are run for all ages. "The Royal Life Saving National Drowning Report found that 249 people drowned in Australian waterways between 1 July 2017 and 30 June 2018. Just under half (42%) of drowning deaths occurred in summer," he said. "We have world renowned rivers and beaches on our doorsteps and pools in our backyards. Enjoy the water this summer, but be aware of the dangers, and always take care."